Petersen: "We just play. It is what it is." Kickoff time for the Huskies’ next road game — at UCLA on Oct. 6 — won’t be announced until this Sunday, at the earliest. On Monday, Fox Sports opted used one of its two six-day selection windows and for its 4:30 p.m. kickoff slot on Oct. 6 will choose between UW-UCLA or Utah-Stanford that day (depending on how those teams fare this weekend). Whichever game Fox does not choose will fall to ESPN for a 7:30 p.m. kickoff. The No. 11 Huskies, no doubt, would prefer the earlier start time. 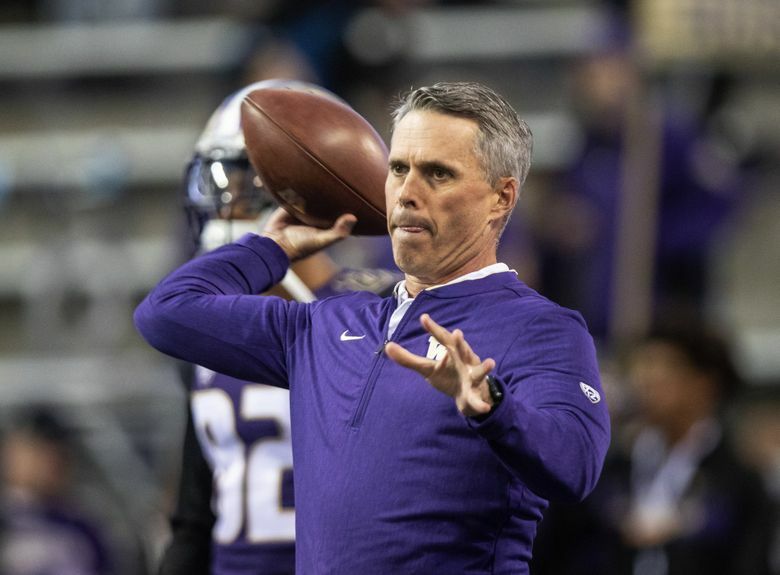 Chris Petersen has said he would always prefer earlier start times, and that would certainly be true of a road game — when UW’s chartered flight doesn’t arrive back in Seattle until the early morning — and even more so in this case because the Huskies will be preparing to play back-to-back road games. And perhaps back-to-back road games at night. After UCLA, the Huskies head to Eugene for a pivotal Pac-12 North showdown on Oct. 13. Oregon will be coming off its bye week. Petersen was asked Monday if anyone at UW would try to lobby Fox this week to select UW-UCLA for the earlier kickoff slot. ESPN still has its two six-day selections available to use this season.